Dr. Matthew McCord grew up locally in Villa Rica, Georgia. He attended the University of Georgia for his bachelors' degree in both Chemistry and Biochemistry, and then continued into the College of Veterinary Medicine. 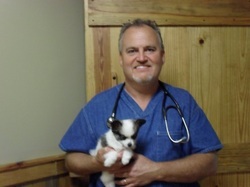 He achieved his doctorate in veterinary medicine in 1988 and chose to come back to the West Georgia area to practice medicine. His experience enables him to give quality care to his patients. Dr. McCord enjoys spending time with his children on the farm. Dr. Emily Kaser grew up locally in Carrollton, Georgia. She attended the University of West Georgia and received her bachelors in Biology. After completion of her undergraduate career she became a veterinary technician for several years until she decided to continue her education and get her doctorate. 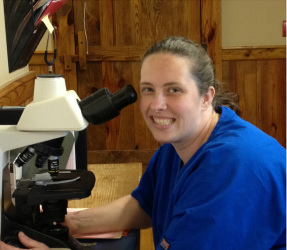 Dr. Kaser attended Ross University in the Caribbean for her doctorate in Veterinary Medicine, completing her clinical year at Auburn University. She achieved her doctorate in veterinary medicine in 2012. She has a passion for animal rescue and is currently working with the Carroll County Animal Shelter to improve shelter conditions. Dr. Lauren Dodds grew up in the small town of Starkville, Mississippi on a dairy farm. She attended Mississippi State University for her bachelors’ degree in Food Science and master’s degree in Veterinary Medical Science. She then continued her education at Mississippi State University receiving her doctorate in veterinary medicine. Dr. Dodds has settled locally in the town of Tallapoosa with her family and is enjoying small town life.